Gary and Margo Posenjak became Associate Staff with Arctic Barnabas Ministries in 2012, after seven years of missionary work in rural Alaska. They know first-hand from their “bush” experience the importance of Arctic Barnabas to encourage missionaries and pastors. ABM missionaries and retreats blessed them on many occasions while they served at Kako Retreat Center. Now they gratefully serve on the “giving end” of Arctic Barnabas to fill in for pastors and missionaries absent from the field due to medical emergencies, ministry commitments in other villages and for churches temporarily without a pastor. They often help maintain the pastor's home and church facility in his absence. They teach Bible Studies, put on VBS and kids programs and Margo teaches quilt classes. Before their involvement with ABM, they volunteered for three summers in the Kids’ Camping Program at Kako, in the Yukon River Delta, near Russian Mission. God placed this valuable ministry on their hearts and called them to a full-time camp ministry for three more years where Gary served as Pastor and Camp Director. Margo worked as an assistant bookkeeper, homeschool teacher for missionary kids, and helped with cooking and housekeeping. Arctic Barnabas missionaries made regular visits to Kako to help with retreats to encourage, counsel, and love the staff. After serving at Kako, the Poskenjaks felt God’s call for them to pastor the people working at Trident Seafood Plant and the native residents living in the Aleut village of Akutan. Throughout the Posenjak’s two and a half years in Akutan, ABM provided staff to fill in for Posenjak’s vacations and support for many community outreach events. Gary graduated with a BS degree in Missions and Theology from Western Baptist Bible College in Salem, Oregon in 1974. Margo graduated from Western with a two-year Bible degree in 1973. Gary became a youth pastor, pastored in small communities in WA and Northern California and served as a teaching Elder for twenty-one years in Friday Harbor WA where he worked as a Maintenance Specialist for the University of Washington Marine Biology Labs. Margo taught Bible classes and used her love for quilting to minister to women. She retired from the public school system where she worked as a Special Education para-professional. Due to serious needs within their family, God called Gary and Margo to Washington to maintain availability to their three sons and seven grandchildren. God heals but confirmed the need for them to remain nearby. 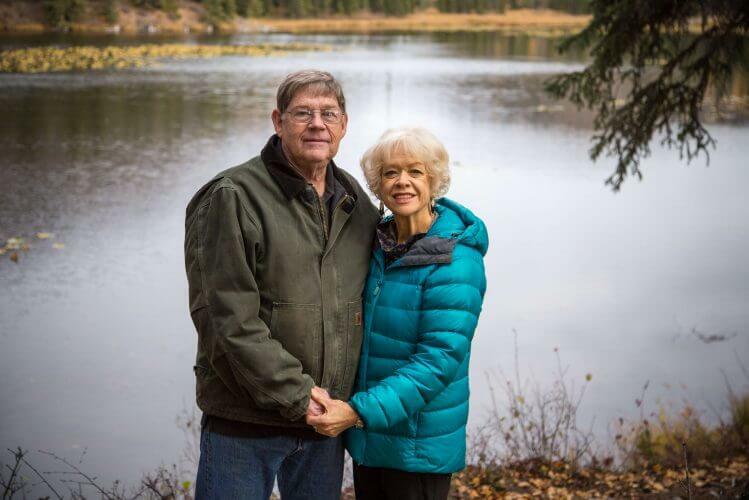 Their associate position makes it possible for them to serve God in rural Alaska and maintain an ongoing ministry to their three sons and seven grandchildren from their home base in Entiat, WA. Gary has Pastored Entiat Valley Church since 2014. This church blesses and supports their missionary service with Arctic Barnabas as the Lord opens doors in the villages. Margo keeps busy with her grandma duties, teaches a women’s Bible study and substitute teaches for the Entiat School District.